ACEE is hosting two workshop sessions on July 4th in Edmonton. The morning will focus on Financial Sustainability and the afternoon is Advancing Energy Education and Climate Action. Lunch will be served so join us for the whole day or morning and lunch or for lunch and the afternoon session. There will be time for networking, sharing, working on your financial sustainability and continuing discussions about moving forward with energy education and climate action. Read more and register. The 27th Emerald Awards were presented on June 5th in Calgary. ACEE celebrates former board member, Aaron Dublenko and his Innovate program for winning the Education: School or Classroom Emerald Award! 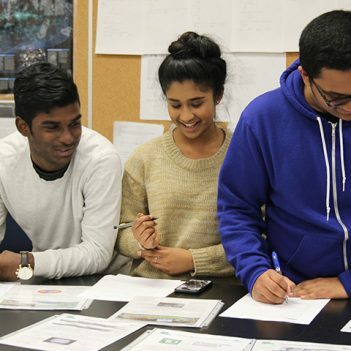 The Innovate program works with students and teachers from local high schools (Queen Elizabeth, Argyll Centre), and even with teens from across the province in a dynamic online platform, around sustainable development and environmental awareness. ACEE is also delighted to see Energy Efficiency Alberta present the first Energy Efficiency Champion Award to Ecole McTavish. We love celebrating students' good work! Networking opportunities and the chance to share their education projects. The launch of ACEE's Energy Education work surrounding efficiency and renewables. Opportunity to express their needs surrounding energy education. We received helpful and constructive feedback on the design of our upcoming programming that we are looking forward to building into our projects. Big thanks to everyone who joined us last Thursday! Get Outside and Play Week is a province-wide celebration of outdoor play in the early years. This year, 51 events in 21 communities were registered, resulting in approximately 3000 children and 1000 adults getting outside to play. One event organizer in Calgary used the opportunity to reach out to the Centre for Newcomers and was able to provide an outdoor play experience for children in a program who do not go outside at all during their program. "The kids walked across the parking lot to get to the Coast Plaza Hotel next door, and used a small patch of grass to play in - their first time! We had toddlers and preschoolers, and brought sand, string, hammers and nails, and lots of sticks! I was also able to leave them with a bin of outdoor supplies they could use in their parking lot space like skipping ropes, sidewalk chalk and a lot of bug catching and watching supplies!" Thanks to support from Mountain Equipment Co-op, sixteen events received a small grant to host an event. If you have any questions, please contact Christina at christina@connectedbynature.ca. People for Energy and Environmental Literacy (PEEL) offers both short seminars/webinars and half day training on climate change, energy and environmental literacy for teachers who are introducing these topics into their classrooms. This free professional training will ensure that teachers understand the fundamental climate change science, policy, economics and social aspects of our energy choices, and have access to information they can trust. PEEL representatives to your school and show you how! Click here for more information on how to get a PEEL representative to your school for free. 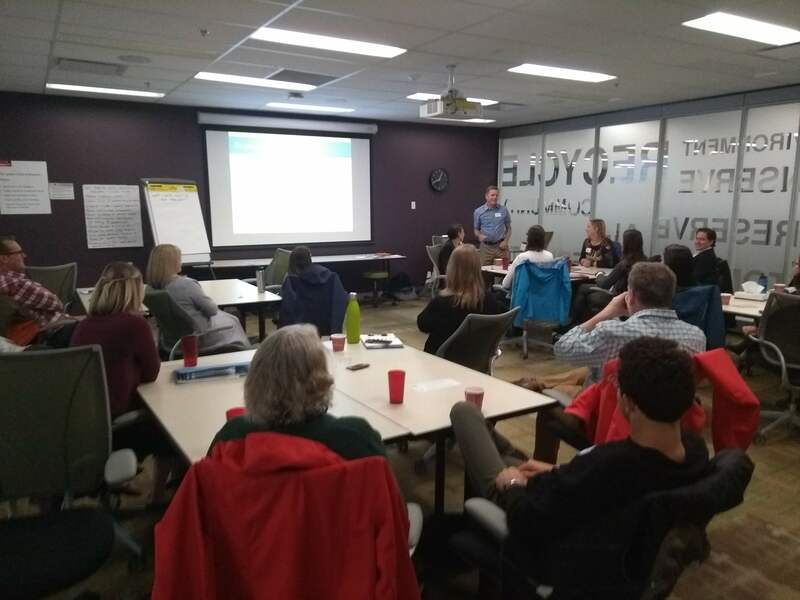 Green Collar Careers workshops available in Alberta! The Green Collar Careers workshop allows participants to identify how their skills and personal interests align with careers in sustainability, environment, energy and other fields that directly help people and the planet. In our workshops, participants will compare their interests and skills to 30 diverse fields, assess financial and social factors and educational requirements of various careers, and discover how environmental policies have impacted careers in Canada. Limited opportunities for workshops are available in June and Summer 2018, and we are now booking for September/October! For more information, or to request a workshop, click here, or contact Rebecca at rebecca@relayeducation.com. The Canadian Network for Environmental Education and Communication Fall Conference opened for registration in May and is already booked full. If you missed out on this opportunity, we recommend that you click here to express interest in the May 2019 conference to get advance notice of registration. What Will the Climate Be Like Where You Live? - April 2018 saw the creation of a potential game-changer: the Climate Atlas is a robust science tool that will show you what your likely future climate will be where you live. Try it out, it's easy! Thanks to the Prairie Climate Centre for this work. 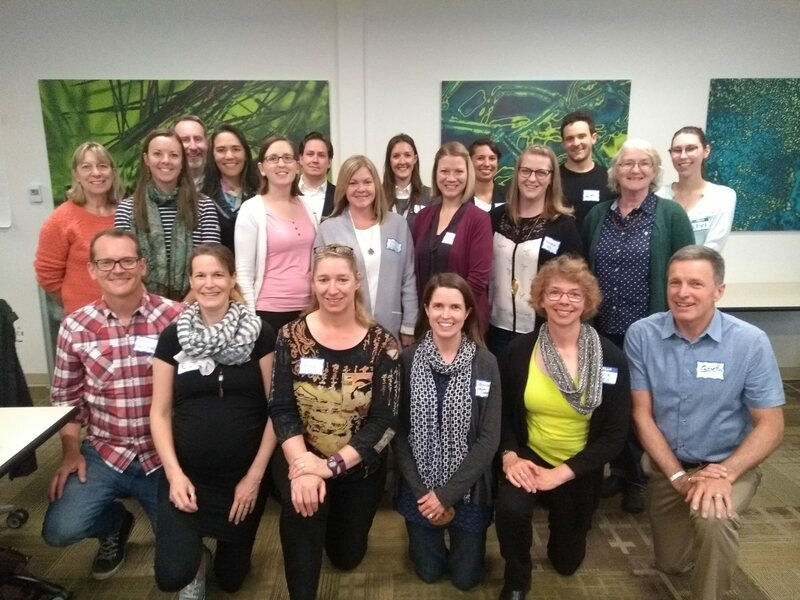 Outdoor Play Summer Institute - The Calgary Regional Consortium is offering a two-day Summer Institute on Outdoor Play: Connecting with Nature, Community, and Curriculum on August 20-21. K-3 teachers and early childhood educators working in after-school programs, childcare centers, and preschools are encouraged to attend. Environmental/Social Change Grant - Are you ready to make a change in your neighbourhood? The Arusha Centre offers Take Action Grants up to $1000 and $1000 for your social and environmental change! The applications are due on the 15th of every month, the next deadline is June 15th, 2018. Announcement - The Canadian Energy Research Institute (CERI) and 360 Energy Inc. are excited to announce an agreement to introduce and explain independent energy research topics that will surely impact Canadian energy consumers and suppliers now and in the future. If your organization has a desire or need to learn more about the ever-changing energy world and how those changes may impact your organization, please stay tuned to learn about upcoming events that will be announced shortly. Arts-Based Lessons on Energy and Climate - The Planet Protector Academy: Keep Cool is a digital-led teaching resource on energy conservation, transportation, and climate for Grades 3-6. Students explore learning through fun, arts-based activities in teams before going home on superhero missions to change their families' habits. Fully funded: See links for Calgary and Edmonton.